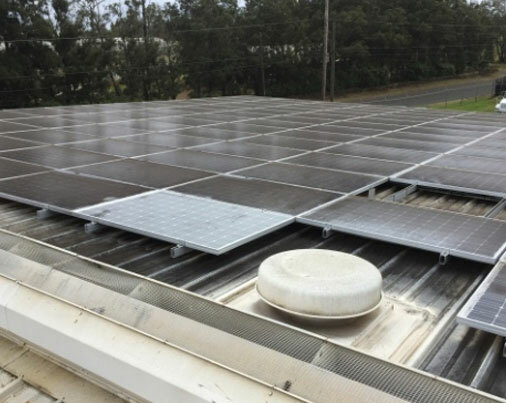 Maintaining your commercial PV System in Hawaii is going to be required to prolong the life span and energy savings generated by the investment you made into your PV system. Failure to maintain your system can result in small problems today becoming very large problems tomorrow. You are very busy running your business, let someone who specializes in maintaining commercial PV systems take care of your investment. This week, we started a maintenance plan for a commercial customer with 3 locations, whose systems were installed in 2011. 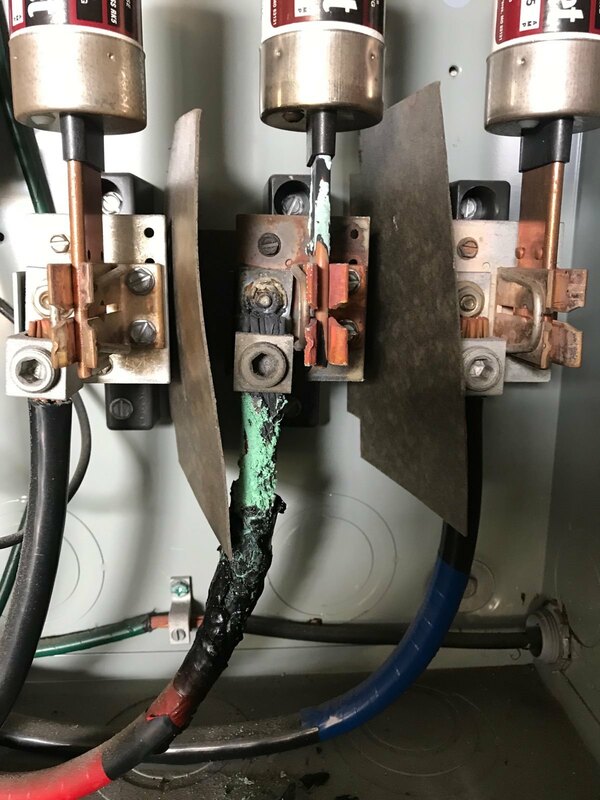 At one site, we found that there was a melted wire in the AC disconnect, which had knocked 4 of the 6 inverters offline. 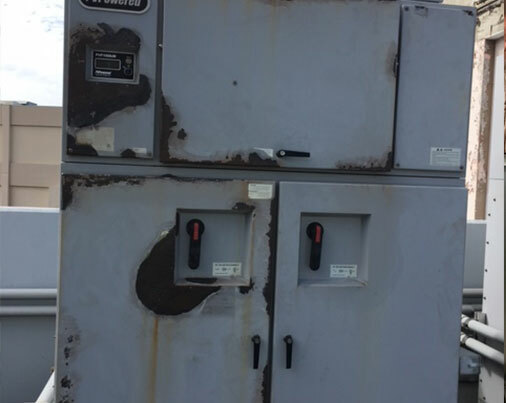 The site had a total of 20 inverters, so it is unknown how long those inverters were down for as no one was really checking on the system over the last 5 years. 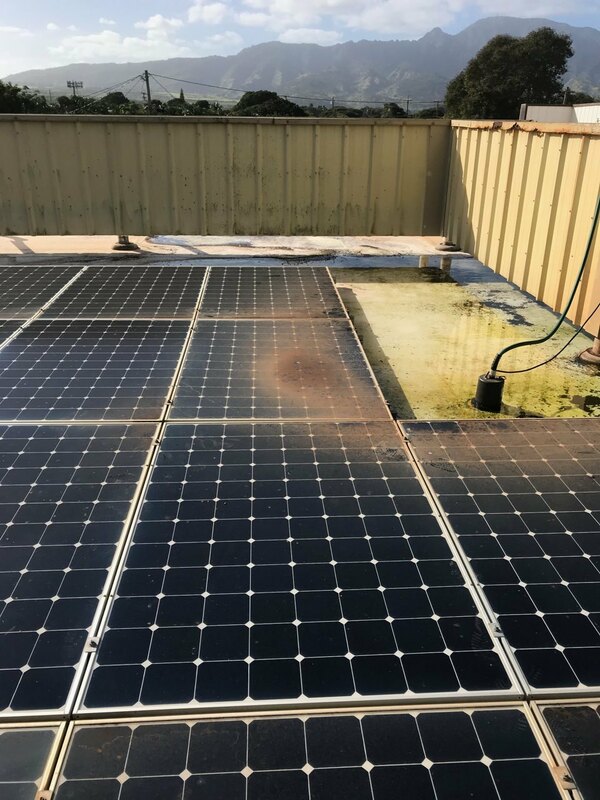 At the 2nd site, there was a broken panel on the roof, and since the panel was shattered the glass was more flexible which allowed dirt and water to pile and pond on this panel bringing the whole down. 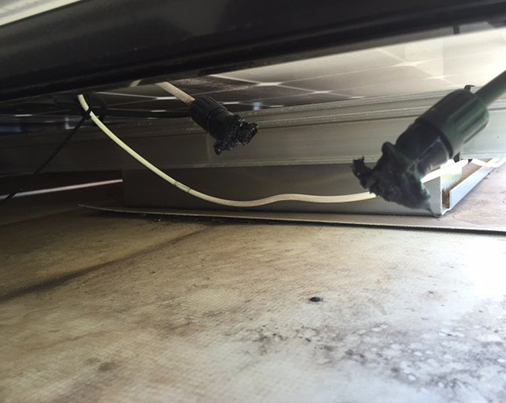 Chances are the panel will be covered and replaced under the manufacturers warranty (Hawaii PV Partners is set up with all the major manufacturers to perform warranty work), but since no one had checked the system, it is unknown how long this problem existed as well. We will be going to the 3rd site later this week and I will update this blog post with our findings at the 3rd site. Stay tuned. 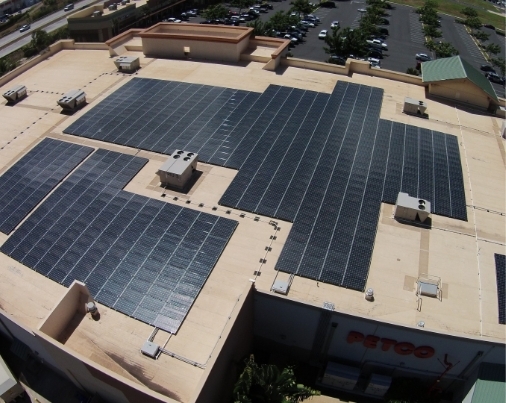 Hawaii PV Partners specializes in maintaining and repair commercial PV systems in Hawaii. We prolong the life of the system through preventative and routine maintenance as well as monitor the systems performance so you as the sites owner of facilities manager don’t have to. 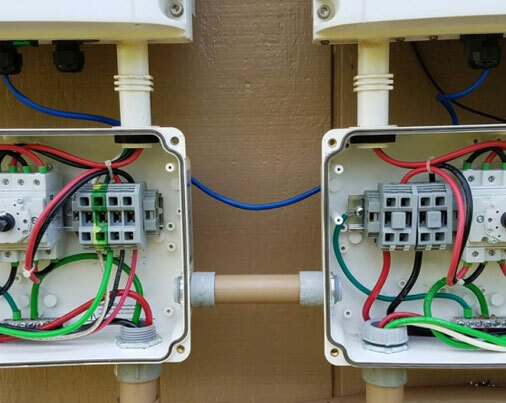 When repairs are needed, we know your site inside and out and can expedite the repairs and get the system back up to optimal performance minimizing downtime. Give us a call today at 808-206-7333 or click this link http://hawaiipvpartners.com/request-service for a free estimate to put your commercial system on a service maintenance agreement.